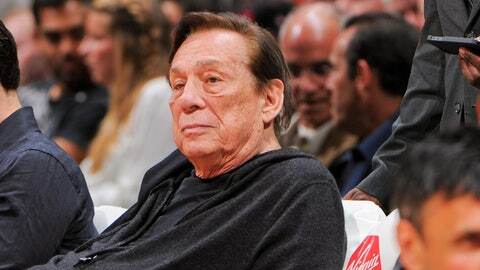 LOS ANGELES — Lost in all of the Donald Sterling drama over the last 72 hours is the fact that theres a competitive, fun series going on between the Clippers and Warriors. If Game 4 was overshadowed by Sterling’s shocking comments, Game 5 was eclipsed by Adam Silver’s severe punishment. This time, the news was considered a positive by those involved, as it provided clarity to a murky situation. The team can "start the healing process" and "move on" now, in the words of coach Doc Rivers. More importantly, any talk of Rivers, Chris Paul and/or Blake Griffin leaving this offseason can be put to rest, and the franchise can shift its focus back to the playoffs. Which brings us to the afterthought of Tuesday night — the game itself. 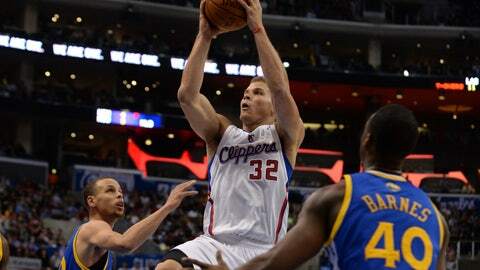 With newfound pride and motivation — led in large part by the loudest and most energetic crowd they’ve had all season — the Clippers were able to comfortably defeat the Warriors, 113-103, and take a commanding 3-2 lead heading back to the Bay. While there were certainly adjustments and tweaks the Clippers made to rebound from a Game 4 blowout loss, the stands had a far greater impact on the game’s outcome. "They were awesome. I mean that’s as good as I’ve ever seen them," Rivers said of fans’ enthusiasm during the game. "They’re unbelievable. … Everybody was going through this. It’s almost like everybody wanted to exhale tonight, and it was good." Before Game 4, Rivers wondered which of his players would be affected by the off-court distractions. Jordan was exhibit A, checking out mentally and registering his worst game of the series. With encouraging news hours before Game 5, however, Jordan was engaged from the opening tip and returned to dominating the paint. He finished with 25 points, 18 rebounds and 4 blocks — undoubtedly his best game of the series. The Clippers are nearly unguardable in the open court, as their combination of spot-up shooters and finishing bigs is uncanny. The issue is that they need to get stops and force turnovers to create transition opportunities, and they hadn’t done much of that in Oakland. Tuesday they were able to get out and run, scoring 21 fast-break points (the Warriors scored 13 points). Easy buckets are difficult to come by in the playoffs, as every possession is magnified, so a few transition points here and there definitely tilted the game’s outcome. Though the Warriors made a good percentage of their 3s (38.5 percent), they never caught fire like in Game 4. It’s almost impossible to beat them when they’re making 12-plus treys, and the Clippers kept them at that limit (10). After a disastrous outing, Los Angeles’ rotations returned to form and they were able to run the Dubs off the 3-point line. 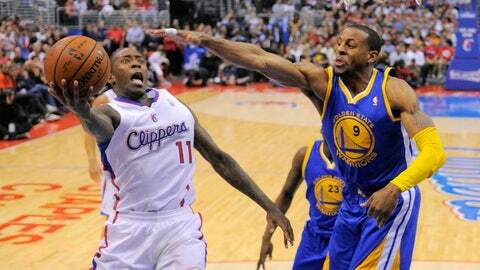 The Clips’ 3-point D, or lack thereof, will be the key heading back to Oracle Arena for Game 6. With Griffin and Paul combining to shoot just 12 of 31 from the floor, the Clips needed their role players to step up and carry them. Jordan’s performance was the most impressive, but both Darren Collison (15 points) and Jamal Crawford (19) played big minutes and hit clutch shots in the fourth. Role players tend to play better at home, but this a much-needed confidence boost for a struggling supporting cast. From the moment the players ran onto the floor for warm-ups to the final buzzer, the crowd was as energized and raucous as it has been all season. The fans broke out in "We are one" chants, stood up for a large portion of the game and were generally upbeat. There was almost no recognition of the troubles of the last few days, other than a few dozen signs in support of the team. It was a special night to say the least.